A prime attraction of the southern hemisphere sky is an object called the Large Magellanic Cloud, a satellite galaxy to our own Milky Way, and only visible from southern latitudes. 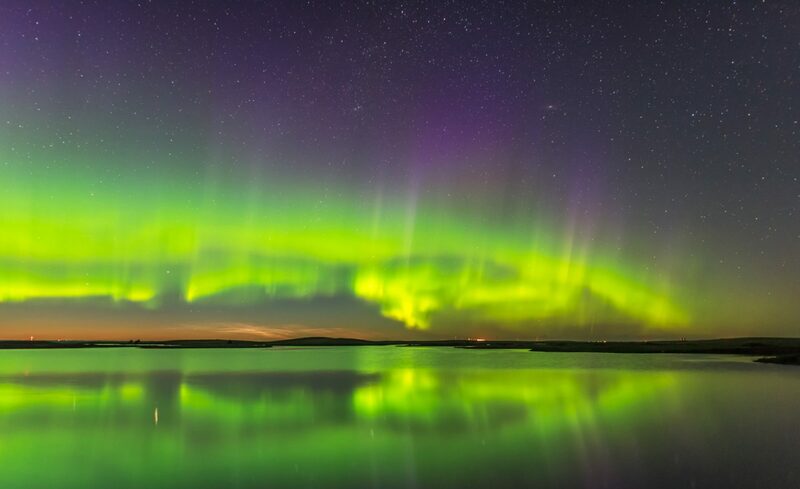 You can spend many nights just working your way through its confusing array of star clusters and nebulas. Here, Gary Finlay (seated) and Philip Downey (standing, checking his digital iPad star atlas) are doing just that – trying to identify the many objects you can see in one eyepiece field at a time. And the LMC is so large it covers dozens of eyepiece fields. They’re using an 18-inch reflector, which is providing us with outstanding views of not only the LMC and its many nebulas, but hundreds of other targets along the Milky Way. I took this with a 30-second exposure at f/2.8 and ISO 3200 with the Canon 7D. 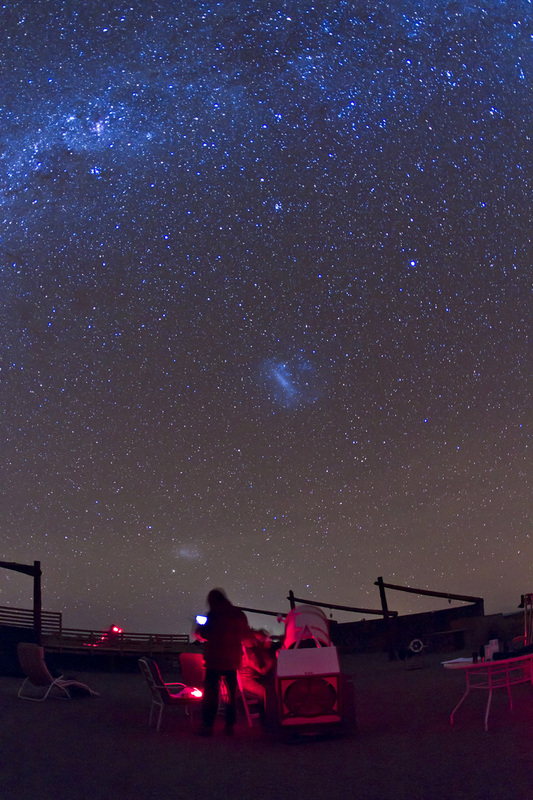 The location is the small observing field adjacent to our rooms at the Atacama Lodge in Chile.